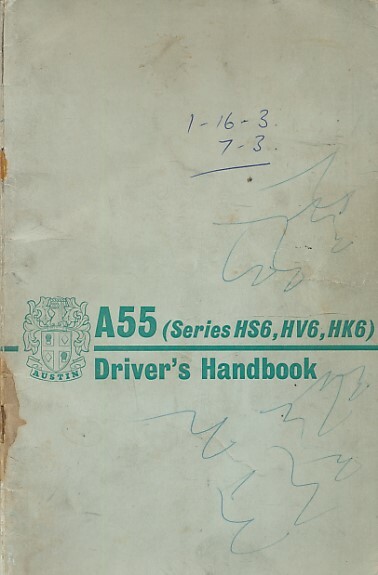 Barter Books : Austin : Austin A55 (Series H26, HV6, HK6). Driver's Handbook. 97H1471J. Birmingham. : The Austin Motor Co. Ltd.
220 x 140 mm (9 x 6 inches) - 66pp. Worn condition. Previous owner inscriptions on cover. Cover marked. Rust marks on pages from binding staples. Missing pages 1-2.